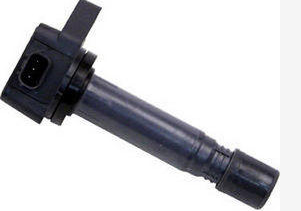 Recently, the ignition coil on my Liana went bad and car was missing on CNG. 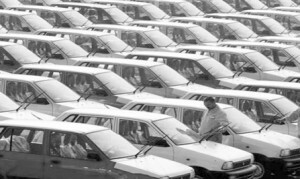 I went for CNG servicing in Suzuki Motors and once it was done – they told me that the problem is with ignition coil and I will have to change it for Rs 10,000. Well, I thought this is a big amount for this coil so went to second hand spare shops in Saddar and Gawalmandi areas where all the shop keepers were demanding Rs 4500 for second hand coil. First of all, these coils which they sell come from stolen cars and secondly price was very high considering they have already been used. It is a known fact that coils don’t last forever and with aging, they do go bad so there is no guarantee, if I would buy this then it would not go bad within few months or year time. After this I went into the local shops and found that a shop was selling Brand new Denso coil of Liana for Rs 2500 (Made in China). I bought it and installed it in my Liana and so far the car is running fine. Anyway, I think this is not a joke and company must have done a lot of research on these coils before manufacturing them and it is a far better choice than branded ones and second hand available in market in terms of price. Later that night, I was surfing the internet and was trying to look for these items on sites such as Aliexpress.com and I found a supplier who was willing to sell brand new coils for USD 7 equivalent to Rs 630 each and demanded that if I will buy in larger quantities then I would save a lot on shipment charges. I have many times in past bough items from china directly and I know that I can get them for a very low price. Local sellers who sell Denso coil would have made a lot of profit on this as well and definitely companies such as Suzuki Motors are ripping their customers and local sellers are making massive profits. Ecommerce networks are competing against these local sellers and very soon as more people will get used to buying on Internet – this will eventually throw local sellers out from market. You can see the huge difference. I intend to buy few coils from china directly so that whenever I need them, I won’t have to wait for them to be shipped. Nice article, fyi, if you bargain with suppliers on AliExpress they will give you free shipping (via ChinaPost), I do that all the time, free shipping on items over $10 via ChinaPost… I know the local post man, give him PKR50/delivery and get the delivery asap. first of all sir with all due respect the coils which u r talking about (the 10,000 RS) coils they are genuine & geniune has no match with local. secondly sir the coils u r talking about (the 2500 RS) they r not genuine your car seems 2 be fine but these coils have n guarantee so after say 1 or 2 months your car prob is still there. as u said about price these prices are set by pak suzuki and dealers cant do any thing about that! But 1 precaution, Chinese are notorious for their online trade. u should involve a 3rd party to be at a safer side if u r planning to invest big..
My car suzuki khyber 94 model is having same problem i.e., missing on CNG. I have changed its plugs and many times got it tuned but of no use, what if i change my ignition coil and where in IBD/RWP i can get it on cheap rates? Your help is appreciated please. Dear Talha, can I call you and find out more about the ignition coils. I have spent so much money and am still driving the same way as the company simply says change your coils they have a life. My number is 0308-222-8336. I have searched Mr.talhaWaleed but can’t find his contact number so that i may get some information about his china coils but failed to find talha, so my friends i am sharing my personal experience with you about china coils. This is his profile page at Pakwheels.com. You can PM him here.